Having an amazing company culture isn’t just about keeping snacks in the break room and putting a ping pong table in the lobby, even though those things help. It’s so much more than that because although those are great selling points when you’re hiring, people won’t stay at a job because of the ample supply of fruit snacks. Below, you’ll find the winning formula I used to win Entrepreneur Magazines Small Enterprise Top Company Culture Award. Employees stay at an agency when they’re engaged, motivated, driven, and inspired.But how do you make sure employees feel that way? It starts from the top and works its way down. The agency owner must set the tone for how the company culture is going to be by creating a vision statement that embodies their beliefs. A vision statement comes from defining your purpose, mission statement, and core values. 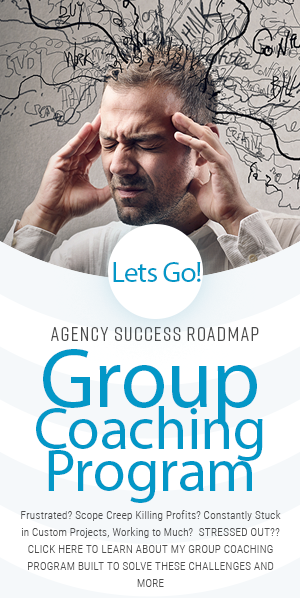 Once these three elements are defined, you can begin getting your entire agency onboard. Life Is Good’s purpose statement is inspiring and they will never cross a finish line and complete it. They will forever strive to achieve it. 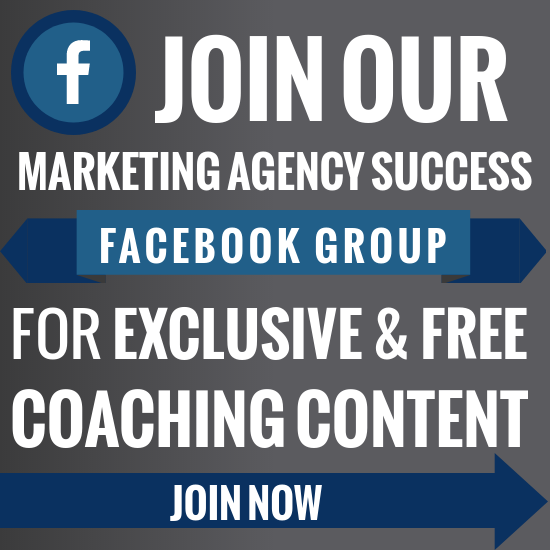 Your purpose is the inspiration behind “Why” your agency is in business. It isn’t monetary or superficial, it’s the deeper meaning. It should inspire your employees to work hard and care about their jobs. Your purpose statement shouldn’t change every quarter, in fact it should never change. It should be able to withstand the test of time and all of the ups and downs in your future. This is a goal you set that can be achieved in the next 3 to 5 years. You should be able to cross the finish line or plant the flag with a precise goal. This goal should be big enough to drive your employees to work hard but doesn’t deflate them. Setting a goal this big and this crazy should motivate and drive everyone to work hard and give everyday their all. Once this goal is set in stone you can break it up into smaller milestones. Assurant’s mission statement is quantifiable and measurable. It won’t be easy to do, but they can set milestones and accomplish it in several years. Build-A-Bear’s core values are creative and unique to their business. Your core values should be the beliefs that everyone in your agency embodies every single day. Employees should filter every decision they make through the core values to ensure that they align with the agency’s ultimate goals. These values should come from within but be embodied by everyone at the agency. These 3 components will define the culture in your agency, so it’s important to think every part through. If your vision statement is ambiguous or deceiving the culture it fosters will be too. Once you hammer out a clear and constructive vision statement you have to begin embodying it and getting your employees to do the same. This is a process I call tribe alignment and visualization. Tribe alignment is getting your employees to buy into the vision. You do this by letting them be apart of the creation of it. Have a company wide meeting, make sure everyone is engaged and feels part of the creative process. Do not rush this, if it takes an entire day, or even two days that is fine. The most important part is that every single person discusses the core values, mission statements, and a core purpose. Get their input, let them critique, and adjust until you have a vision statement that everyone in the agency can stand behind. When your employees feel like they’re involved in the bigger picture they’ll be more invested in your agency’s success. This is the part of creating an award-winning culture that should be fun. The more unique and creative you get with it the better the culture will be! Now you can rationalize that ping pong table in the lobby because it helps inspire creativity and healthy competition, two of your core values. Listen to what your employees have to say, they can tell you what they really want as rewards. This will help them feel included and important, instead of feeling like just another number. Keep that momentum going and you’ll soon have loyal employees who are just as invested in your​ agency’s success as you are. Down the line, this will lead to less employee turnover, improved production, and increased happiness. Remember, to have an enduring and successful culture you must be true to yourself, don’t focus on buzzwords or hot topics. 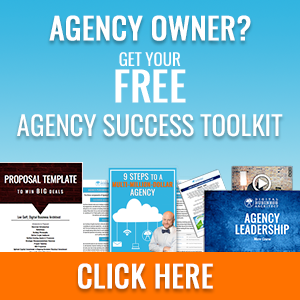 Be honest and you’ll be able to create an award-winning culture for your agency. I find this topic to be really something that I believe I might never understand. Thanks and if you have the proper framework it does not have to be hard. Of course that does not mean you do not need the right tools and some hard work though. Make sure to check out our sales and marketing automation course, it outlines a lot of the details and provides some great tools! Agency Success Story – Brennen Bliss – We Discuss Productization, Project Management, Lead Generation, Pricing and more….